This healkit is an adjusted version of the basic healkit. 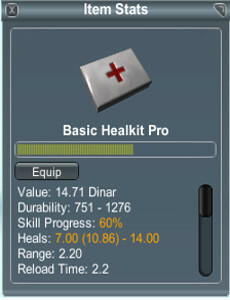 The design for this Basic Healkit Pro was kindly spread by the van Gyn Family. 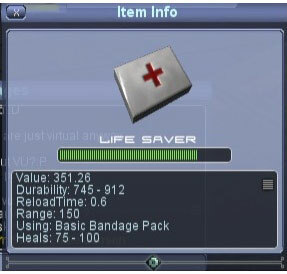 into a powerful healing agent..
Life Saver healkit is unique item, cannot be crafted and looted, only devs can use it.